Video is the technology of capturing, recording, processing, transmitting, and reconstructing moving picture, typically using celluloid film, electronic signals, or digital media, primarily for viewin on television or computer monitors. 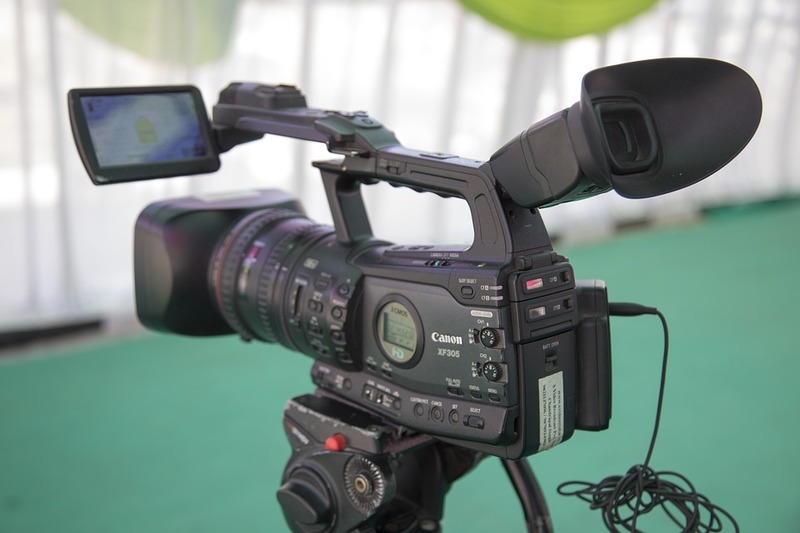 The term video commonly refers to several storage formats for moving pictures: digital video formats, including DVD, QuickTime and MPEG-4 analog videotapes, including VHS and Betamax. Video can be recorded and transmitted in various physical media; in celluloid film when recorded by mechanical cameras, in PAL or NTSC electric signals when recorded by video cameras, or in MPEG-4 or DV digital media when recorded by digital cameras. Quality of video essentially depends on the capturing method and storage used. Digital television (DTV) is a relatively recent format with higher quality then earlier television formats and become a standard for television video.